Bulgaria, situated in southeastern Europe, is a country blessed with a fascinatingly rich cultural heritage dating back to around 6000 BCE (the first Bulgarian state was established in 681 CE). Since the adoption of Christianity as the official state religion in the 9th century, Bulgaria has been part of the Eastern Orthodoxy. Buddhism is a relatively new religion in Bulgaria, and has only recently become a focus of research. After the collapse of Communism in 1989, a number of Bulgarians started practicing Theravada, Mahayana, and Japanese Zen Buddhism. At present, the most popular form of Buddhism in the country is Tibetan Buddhism (the Nyingma, Kagyu, Sakya and Gelug schools). The path of the Buddha in Bulgaria had a symbolic start in 1991 with the visit of His Holiness the Dalai Lama. His Holiness (the Bodhisattva of compassion in a human form) visited Sofia, accompanied by a delegation of the Tibetan government in exile, having been invited by Georgi Svechnikov (former president of the Bulgarian-Tibetan Friendship Society) and Solomon Passy (president of the Atlantic Club of Bulgaria). During his visit, His Holiness met the former president of Bulgaria, Zhelyu Zhelev, and delivered a lecture at the University of Sofia (St. Kliment Ohridski). 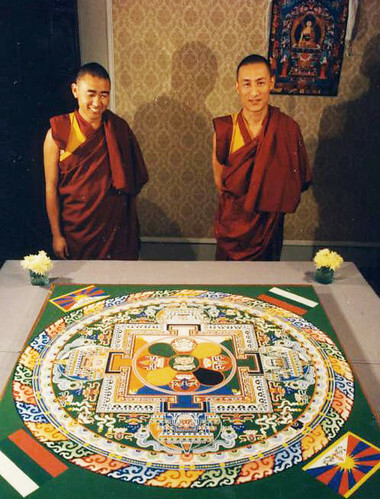 In 1993, the first sand mandala of the bodhisattva Avalokiteshvara was made by two Tibetan monks from Namgyal Monastery—Tenzin Lhawang and Tenzin Tashi—at Sofia City Library. Some years later in 2016, a second mandala, of the Medicine Buddha, was constructed by Lama Ngawang Kunga Bista from the former kingdom of Mustang in Nepal. In the early 1990s, various Buddhist communities began to emerge in Bulgaria. Some disappeared after only a few years, while others survived. Currently, the largest Buddist community in Bulgaria follows the Diamond Way, which is related to the Karma Kagyu school, headed by the 17th Karmapa Trinley Thaye Dorje, and introduced the Western world by the Danish Lama Ole Nydahl. The Diamond Way first arrived in Bulgaria in 1992, with a visit by Lama Ole Nydahl. At present, it has more than 200 followers, with centers in eight Bulgarian cities, several retreat centers across the country, and a stupa, built in 2015, near the village of Plana. The Stupa of Enlightenment has become a symbol of Buddhism in Bulgaria and is regularly visited by the representatives of various Buddhist communities. It contains relicts of the Lord Buddha and was consecrated by Lama Sherab Gyaltsen Rinpoche. The oldest Tibetan School, the Nyingma tradition, is represented by three of its six lineages: Palyul, Shechen, and Dzogchen. The Palyul community was founded by Pema Rinpoche and has a center in Sofia that opened in 2011. Pema Rinpoche was born in Kham, eastern Tibet, and first visited Bulgaria in 2002. The center offers Buddhist training and is frequently visited by Pema Rinpoche and his assistants Lopon Dawa and Lama Dawa Norbu, as well as other Palyul teachers (Chogtrul Rinpoche, Khenpo Sange Rangjung, Khenpo Tenzin Norgay Rinpoche). The Bhutanese lama Khenpo Tenzin Norgay Rinpoche, one of the leading Palyul teachers in the West, has visited Bulgaria several times, delivering lectures in various Buddhist centers and cultural institutions. The Shechen tradition was present in Bulgaria from 2005 until 2011. 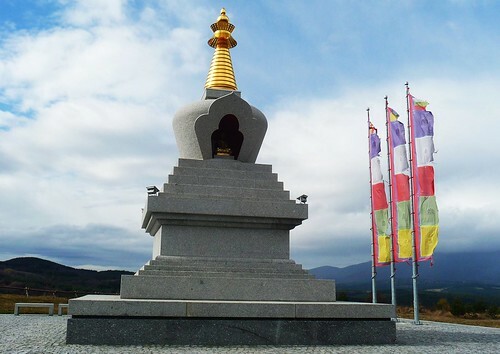 It had its headquarters at the Dharma center Tegchog Lamsang Ling, which was founded in 2005 by Bulgarian Buddhists, with the blessing of the head of the Shechen lineage—His Eminence Shechen Rabjam Rinpoche. The two Buddhist teachers Jigme Khyentse Rinpoche and Dzongsar Khyentse Rinpoche also visited the center. In 2011, the leading members of the Shechen tradition left the country and founded a new organization—the Sky Dharma Community—thereby interrupting the links with Tibetan Buddhism. The Dzogchen tradition in Bulgaria is represented by Dzogchen Ranyak Patrul Rinpoche, who has visited Bulgaria several times without establishing a center or a community. He was born in Kham and founded the Dzogchen Center in Belgium, which is a branch of the Dzogchen Monastery in Tibet. The Dzogchen teachings also reached Bulgaria via the followers of Chogyal Namkhai Norbu Rinpoche, who have a center in Romania. 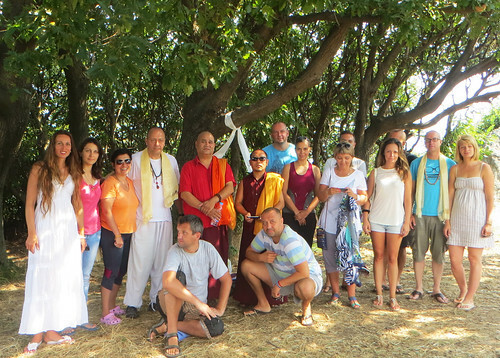 The Dzogchen followers meet at the Darjeeling Center in Sofia, which hosts regular lectures by international teachers. A branch of the Kagyu School—Drukpa Kagyu—was established in Bulgaria by the Bodhichitta Foundation, founded by Khenpo Ramesh Negi (born in Kinnaur, northern India), who has been a regular visitor to Bulgaria since 2004. 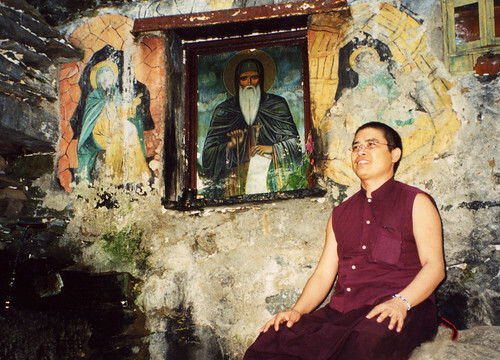 Khenpo Ramesh founded a branch of the Khampagar Monastery near the city of Kazanlak. In return, his Bulgarian followers build a Buddhist center in Rewalsar, in the Indian state of Himachal Pradesh. The Tibetan Sakya School gained popularity in Bulgaria in the early 1990s, with the support of Lama Jampa Thaye, one of the first Western teachers authorized to transmit the Vajrayana teachings. Lama Jampa is the spiritual leader of a number of Buddhist centers, known as Dechen. One of these centers was based in Sofia for a couple of years, until the main disciples left the country. Dharma program of Drukpa Kagyu teacher Khenpo Ramesh Negi in Varvara. Various teachers from the Gelug school have also visited Bulgaria. One of these teachers, Geshe Tenzin Dhargye, has delivered lectures and another teacher, Lama Sonam Tempa, lead a number of programs organized by the Ananda Center. Geshe Tenzin Tamding (from Ganden Monastery) established communities in two Bulgarian cities—Sofia and Vratsa—as well as a branch of the Chu Sup Tsang Foundation. His assistant Tritul Rinpoche and Geshe Lobsang Yeshe also visited the Bulgarian Gelug followers. The Tibetan Bon tradition is represented in Bulgaria by the Bon–Dzogchen Sangha, which follows the guidance of Tenzin Wangyal Rinpoche. His disciple Khorden Lhundrup Gyaltsen visited Sofia three times (in 2015, 2016, and 2017) and taught courses on Tibetan yoga, Dzogchen, and Phowa (transferring the consciousness at the time of death). In 2015, Yungdrung Bon teacher Lama Sangye Monlam Rinpoche also visited the country. Finally, to complete our overview of Buddhism in Bulgaria, we should mention the presence of Japanese Zen Buddhism, which has gained a small group of followers due to its relation to Aikido (spread by the Bulgarian Tendzen Dozen Osho).